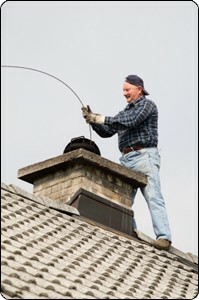 Scheduling Manager is the perfect chimney sweep service software solution to manage your business. Whether you’re just starting out or have been established for some time, these days software is a vital part of any successful service business. Implementing a good software package allows you to divert your efforts to other areas of your business. Every part of your business that can be automated and streamlined should be. The best use of your time is not doing the cleaning or scheduling, but is delegating tasks,hiring employees and oversee all major operations of your company. In essence, if your company is managed properly you should not need to spend any time on the remedial, automated tasks, and our software, the Scheduling Manager, can help you do this. Our Scheduling Manager software integrates all information about your customer, employees, jobs, and accounting. All the components of your integrated business management software work harmoniously in conjunction with one another. Easily share information across platforms – Desktop, Online, Mobile, and the Customer-Employee Portal. No other software for painting contractors businesses offers the same degree of flexibility, allowing you options for accessing your data from anywhere, along with the best security and efficiency considerations..
Scheduling Manager provides many useful Customer Relation Management (CRM) tools to maintain and grow your customer base. With Scheduling Manager’s CRM features, you can track leads and sales funnel statistics, along with customer management, all in one place. We also provide an optional interface to Infusionsoft, a leading marketing and sales enhancement software program. Invoices, statements, payments, account balances, aging reports, etc., all available in Scheduling Manager business software with one mouse click. Automatically create invoices when you complete a job and see a customer’s account balance update immediately on the information screen. 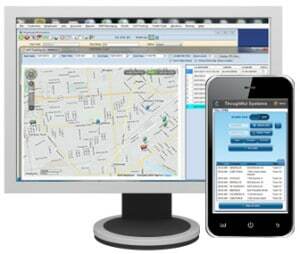 With this information, you can produce aging reports, sales reports and profitability reports in a flash! Seamless optional integration with QuickBooks, MYOB, Sage and other accounting packages.